Luxury travel specialist Zicasso has developed this custom tour in recognition of 2017 being the 70th anniversary of esteemed Italian luxury car brand Ferrari producing its first vehicle, the Ferrari 125 S.
Zicasso is proud to celebrate 350 collective years of the founding of the world’s most revered Italian motor brands in history: Maserati, Ducati, Ferrari, Lamborghini, and Pagani. Travelers can immerse themselves in the pursuit of excellence through Italy’s five most prestigious motor brands with a special tour through Emilia-Romagna’s historic “Motor Valley,” home to these world-famous automotive titans. 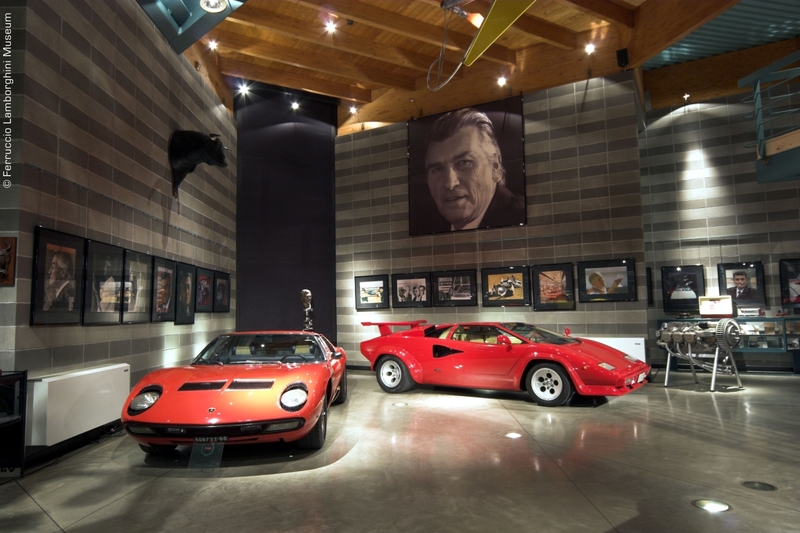 Emilia-Romagna’s “Motor Valley” is one of the most distinguished regions in Italy’s long automotive history, filled with legendary test tracks and museums from some of most prized car brands in the world. The region is also world-famous for its slow-food scene, which highlights regional delicacies such as Parma ham, Parmigiano-Reggiano cheese, and balsamic vinegar. Zicasso’s itinerary explores the region of Emilia-Romagna, highlighting the cities of Modena, Bologna, and Maranello. In Modena, where the Maserati family founded their eponymous car brand in 1912 and continue to operate, Maserati offers guided factory and museum tours to the public and, for some special visitors, a chance to take one of the models for a test drive. Modena is also home to the super-elite Pagani brand of supercars, which produces fewer than 20 each year! Bologna is home to the Lamborghini sports car brand, as well as the Ducati motorbikes where visitors can go for a test drive with an experienced instructor. Finally, the town of Maranello is home to one of the most iconic Italian brands, Ferrari, housing its factory headquarters and museum. Here, guests can enjoy an unforgettable experience as a pit crew in a Formula 1 simulator and test-drive a Ferrari. This 10-day customizable itinerary begins at $4,129 per person, double, for the deluxe package that includes 9 nights of 4-star* accommodations with breakfast included, most meals, 5 test drives, guided tours to factories and museum tours, cooking class, and tastings of Parmigiano-Reggiano cheese, Parma ham and balsamic vinegar. An upgraded package with 5-star accommodation is also available, beginning at $5,189 per person, double. For more information and detailed itinerary, please visit the Zicasso website.